The spontaneous intracellular movement of hydrophobic molecules would likely occur too slowly to support life if not for the presence of lipid transfer proteins that accelerate the process. Soluble transfer proteins that carry their hydrophobic ligands in a directed and controllable manner evolved to facilitate the distribution of endogenous lipids, as well as of fat-soluble vitamins. 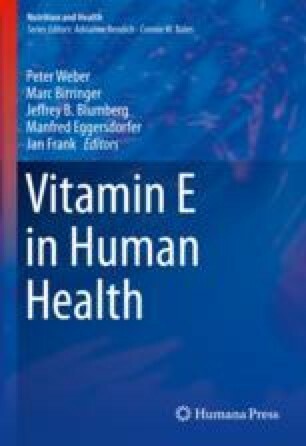 A number of proteins have been identified that can bind α-tocopherol (vitamin E), and it is now well-supported that the α-tocopherol transfer protein (TTP) is the major determinant for the distribution of freshly absorbed dietary tocopherol throughout the body. In this review, we provide an overview of relevant tocopherol binding proteins and then focus on the structure and function of TTP. We present a model for the directional transport of tocopherol from endosomal membranes to the plasma membrane of hepatocytes, based on recent studies showing that tocopherol movement is coupled to binding of the phosphoinositide PI(4,5)P2 to TTP and driven by opposing concentration gradients of the two ligands. We also review recent data showing that regulation of TTP serves to maintain vitamin E homeostasis in cells and tissues.